The following types of appointments are offered by clinical staff. For further information please scroll down to the relevant section. The majority of our surgeries are run on an appointment system. Please ring 01244 564319 or book online via patient access to arrange a routine appointment. If you have not already done so, please ask at reception for your log on details. If you require an interpreter to attend your consultation please let the surgery know in advance and we will be able to book one for you. 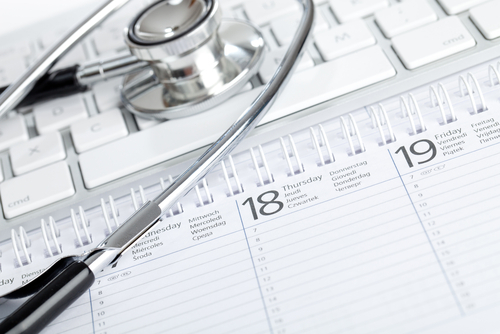 Due to the nature of General Practice, our GP and Nurse surgeries do not always run to time. If you have to wait more than 30 minutes beyond your appointment time, please inform our reception staff and we will do our very best to find an you alternative. The surgery has a late policy of 10 minutes. This means that if you arrive 10 or more minutes late for your appointment, we ask that you reschedule. This is at the request of our clinicians, as a routine appointment is 10 minutes long. Patients arriving late cause clinicians to run late, which has a knock-on effect of increasing the waiting time for other patients. I have been asked for the reason for my appointment - why? If you still do not wish to tell the receptionist the reason for your appointment or telephone call, then there is no obligation to do so. Please simply inform the receptionist that you do not wish to say, and they will respect your decision. Ring 0300 123 7740 option 3 between 8am to 6pm to book a routine appointment with a GP or Nurse outside of normal surgery opening hours. These appointments are held at the 1829 Building in the Countess of Chester Health Park. Early morning appointments are currently being offered three mornings a week (Tuesday, Wednesday and Thursday) from 7am to 7:45am within the surgery with Dr Minshall, to improve accessibility for patients who can’t attend the surgery during our normal working hours. If you have booked an appointment in the Extended Hours clinic, please use the buzzer outside the building for access. Please also be aware that the lifts do not operate between the car park and the surgery before 8am. In order to arrange a blood test, this must be requested first by a doctor. You will then either be contacted via telephone or letter to make a routine appointment. The Countess of Chester provide a drop-in blood test service available Monday to Friday from 7:30am to 6:00pm (last test at 5.55pm). The Blood Test Room is located at Outpatients 3 at the hospital. On arrival you will be asked to take a numbered ticket and then you will be called in for your blood test in order of ticket number. The Countess of Chester also now provide a bookable service. Click here for more information on this service. To use either service you need to have a blood test request form issued from the surgery, and take this form with you to the hospital. If you do not bring a blood test request form with you, you will not be able to use this service. If you have lost your blood form, please contact reception and a form can be re-printed for you. Patients for fasting blood tests have priority between 7:30am and 10:00am. Patients on Warfarin are asked to attend between 7:30am and 1:00pm. 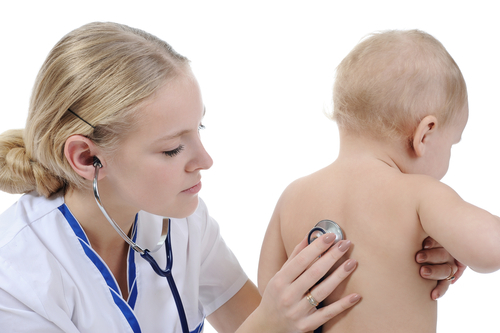 A Duty Doctor is the doctor who deals with urgent matter for that day only. If you feel your medical issue can not wait, that you must speak or be seen the same day, the Duty Doctor may be able to help you over the telephone. Our reception staff will take your name and phone number and ask for an outline of the problem to help the doctor assess its priority. You will be added to the Duty Doctor telephone triage list and will be contacted by the Duty Doctor who will ring you back to discuss your problem. They will advise you or make an appointment for you to be seen when they feel appropriate. If you have been placed onto the Duty Doctor Telephone Triage list and have not heard from the the Doctor within 3 hours, please call us back. Patients will only be added to the Duty Doctor’s telephone triage list if it is an urgent problem that needs to be dealt with that day. If this is not the case, Patient’s will be asked to call back to book an appointment the following day or offered the next available routine appointment. There are routine telephone consultations available with our doctors. Please ring reception to arrange these appointments. There are routine telephone advice slots available with our Practice Nurse for health advice or travel advice. Please leave a contact telephone number with reception to receive a call back. Please be aware that depending on the nature of your problem, you may be offered telephone advice from the Duty Doctor rather than the Practice Nurse. We encourage all patients to attend the surgery, but if you feel you cannot and may need a home visit, please call reception before 10.30am. Requests received after midday will normally be seen the following day unless medically urgent. You will be asked by the receptionist for an outline of the problem to help the doctor assess its priority. The Duty Doctor will phone you back as it may be that your problem can be dealt with by telephone advice, or that it would be more appropriate to send a nurse, or indeed arrange a hospital attendance. Lack of personal transport will not be considered a valid reason for a home visit. You can now book to see a GP, nurse or arrange a blood test in the evening, at weekends, and on bank holidays! Physio assessments are also available any weekday evening. To book an appointment call 0300 123 7743, or speak to the Practice reception team. Appointments are available to book up to two weeks in advance. Please be aware that if you want a blood test in the Extended Hours clinic you will need to collect a blood form from Northgate Village Surgery in advance. Our computer system automatically creates a message with the details of your forthcoming appointment. This message is sent by text to the mobile phone number you provide us with either during registration or change of details. Q Which appointments will I be reminded about by text? A Text reminders will be sent for appointments with a GP, practice nurse or for a blood test. There are some services offered at the practice by visiting clinicians, and these would usually be excluded from the text reminder service. Q What happens if I no longer want to receive text reminders? A When you tell us, either in person at the surgery or on the telephone we will manually remove your mobile phone number from the SMS text service. Q What if I change my mobile number? Q Will you send other information to me by text? A We may send occasional messages about clinics you might wish to attend, e.g. Seasonal Flu immunisation. We will not send personal medical information, e.g. test results, by text. Q How secure is this service? A The information comes from our computer system at the surgery, which is highly secure. Mobile networks are secure and the mobile companies put very strict controls in place to prevent individuals from misusing network technology. It is extremely unlikely an individual text message would be read, and it would take high level system administrator access to do it. Once the message reaches the mobile phone, it is only as secure as you keep your phone. Q Who can I ask if I have another question? You can now book an appointment for physiotherapy yourself using Physio First. This is an alternative to making a GP appointment and then waiting for a referral, although in some instances this may be necessary. To book an appointment please ask at the Reception desk, or phone us on 01244 564319. Physio First physiotherapists hold clinics at Northgate Medical Centre, The Elms Medical Centre and Garden Lane Medical Centre. If you need to rearrange a booked appointment, please contact the Medical Centre directly. Northgate Village Surgery is committed to providing a safe, comfortable environment where patients and staff can be confident that best practice is being followed at all times and the safety of everyone is of paramount importance. All patients are entitled to have a chaperone present for any consultation, examination or procedure where they feel one is required. The chaperone will be a trained member of the nursing staff. Wherever possible we would ask you to make this request at the time of booking your appointment so that arrangements can be made and your appointment is not delayed in any way. Where this is not possible we will endeavour to provide a formal chaperone at the time of request. However occasionally it may be necessary to reschedule your appointment.